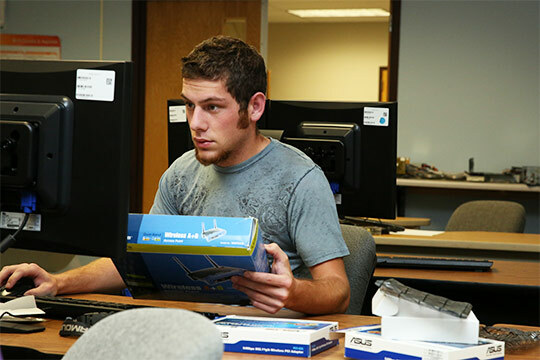 Students design an individualized program of study, in each of the two technical disciplines, to fulfill a unique career goal which cannot be achieved through the completion of any single technology program offered by the college. Apply multi-disciplinary knowledge to a variety of applications. Learn how to quickly identify, analyze, and solve technical problems. Communicate well verbally, graphically, and in writing. Formulate and apply critical thinking skills to troubleshoot systems. Communicate and function effectively in teams. Demonstrate knowledge of the fundamental safety behaviors and safety equipment. Demonstrate the technical skills applicable to each one of the two technical disciplines. *In most cases, the required technical education hours will exceed 15 credit hours; this is a minimum. The required hours will be determined based upon the programs selected and the skillset desired to meet the individual’s career objective. The degree plan must be approved by the advisor, faculty, Registrar, and Dean of Instructional Services. Got a question regarding the Technical Studies program?